The Quad Cities River Bandits closed out the regular season with a low-scoring 2-1 victory over the Peoria Chiefs on Monday afternoon on Modern Woodmen Park. The victory completed a three-game sweep and allows the Bandits to enter the postseason on a five-game winning streak. The same two teams will begin a playoff series in Peoria on Wednesday night. The River Bandits took the lead by scoring their two runs in the third inning. Michael Papierski worked a walk with one out to start the threat. He would race to third base on a double into the corner by Marty Costes, putting runners on second and third. A wild pitch by Peoria pitcher Jake Dahlberg allowed Papierski to race home to give the Bandits a 1-0 lead. The next batter, Miguelangel Sierra, ripped a double down the left field line to double the lead. 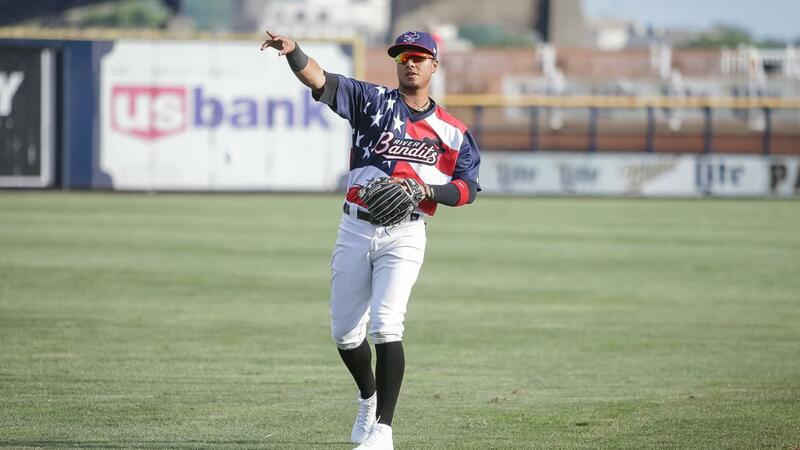 Bandits starter Cesar Rosado had worked four scoreless innings when he took the mound in the fifth inning to face leadoff hitter Rayder Ascanio. The shortstop lifted a high fly ball to right field that sailed over the wall and just inside the foul pole for a solo home run. It was the fourth home run of the season for Ascanio and cut the deficit in half at 2-1. Despite trailing by just a run, the Chiefs couldn't get anything going against Bandits relievers JP France and Parker Mushinski who closed out the victory. France worked 3.0 innings and surrendered just one hit while walking a pair. Mushinski recorded one strikeout in retiring the side in order in the ninth to pick up his second save of the season. The starter Rosado did not factor in the decision after allowing one run on five hits in 5.0 innings. He walked three and struck out three. Quad Cities prevailed despite being outhit 7-3 by the Chiefs. Sierra, Costes and Alex McKenna provided one hit each for the Bandits. Luken Baker and Yariel Gonzalez both had two hits for Peoria. The River Bandits will take Tuesday off before beginning the first round of the Midwest League playoffs on Wednesday night in Peoria at 6:30 p.m. The River Bandits will turn to RHP Edgardo Sandoval (1-3, 3.82) in game one of the best-of-three series. Peoria will counter with RHP Johan Oviedo (10-10, 4.22). All River Bandits games are broadcast on 1170 K-BOB and TuneIn Radio. Home games are also available with video on MiLB.TV.